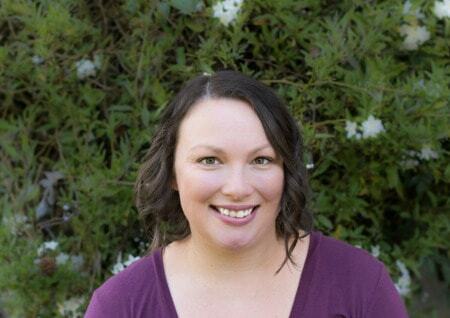 January 16, 2017 By Aileen 2 Comments This post contains affiliate links. As an Amazon Associate and member of other affiliate programs, I earn from qualifying purchases. 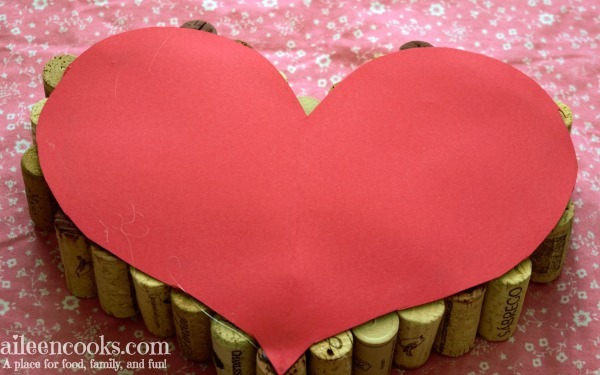 Make this fun and easy heart shaped wine cork trivet for Valentine’s Day and use it all year long! I have had a huge container of wine corks sitting around for over a year (someone gave them to me). 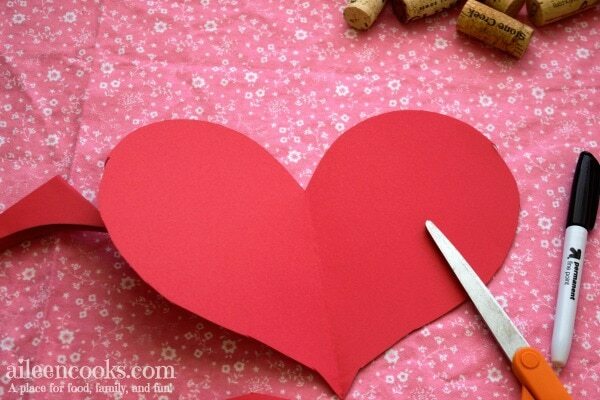 I knew I wanted to do something with them, but wasn’t 100% sure until I started thinking about Valentine’s Day crafts for moms. 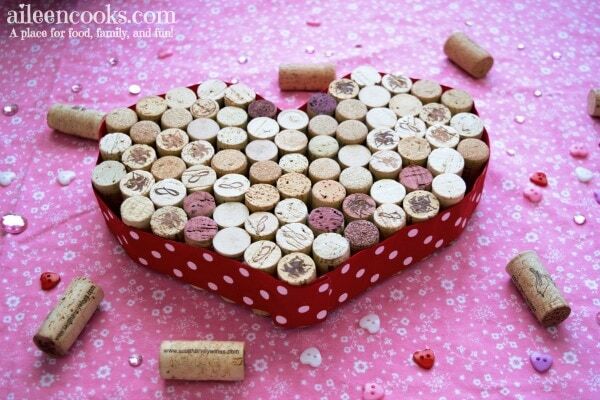 What would be more perfect than making a craft out of wine corks? This whole project took me about 1 hour. 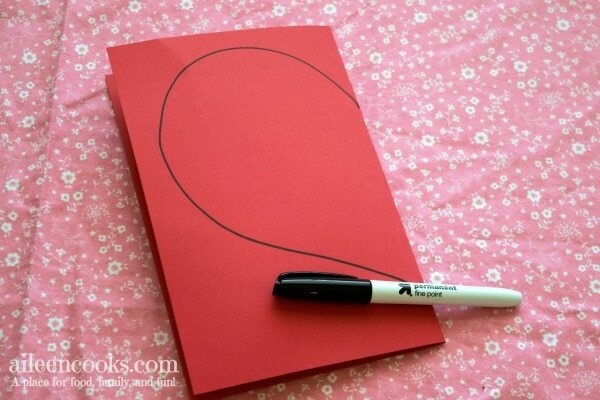 Start by folding your piece of cardstock in half and drawing 1/2 of a heart. 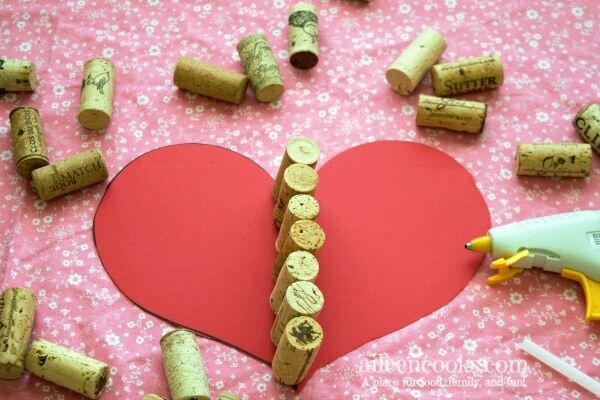 Line up your wine corks along the center line of the heart shape and glue them together using the hot glue gun. 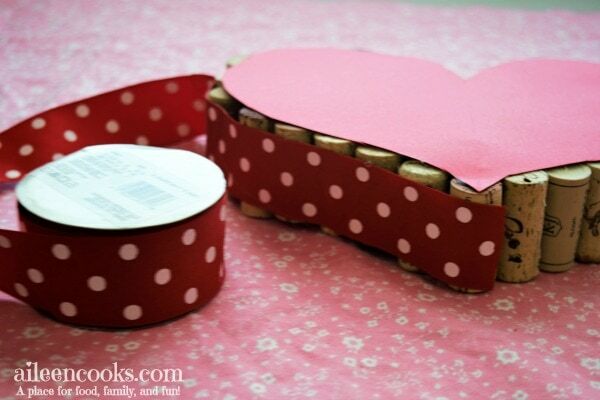 Continue to glue the wine corks together, alternating sides so your heart is even. 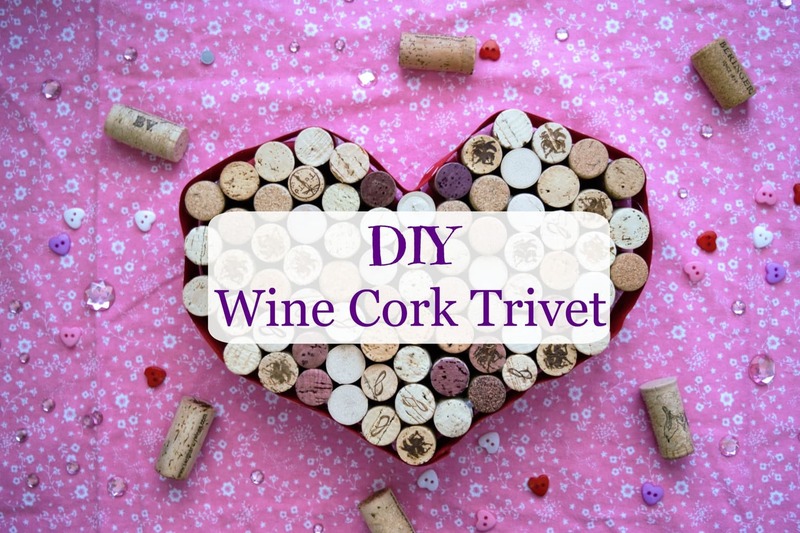 Once all of the wine corks are glued together in a heart shape, carefully flip over the wine cork trivet and hot glue the heart-shaped cardstock on to the trivet. This will help keep it together. Hot glue the ribbon around the outer edge of the wine cork trivet. 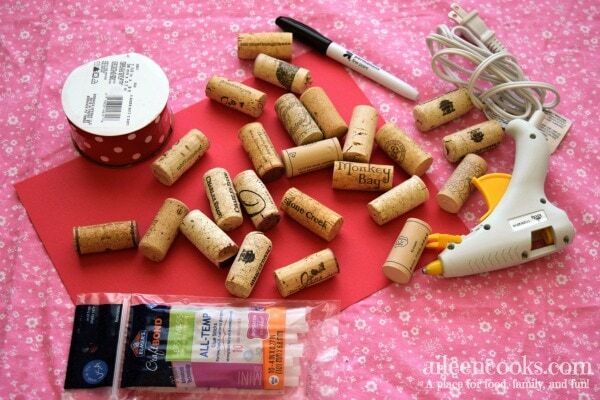 Do this by adding hot glue lengthwise on every other wine cork. Flip your wine cork trivet back over and admire your craftyness! 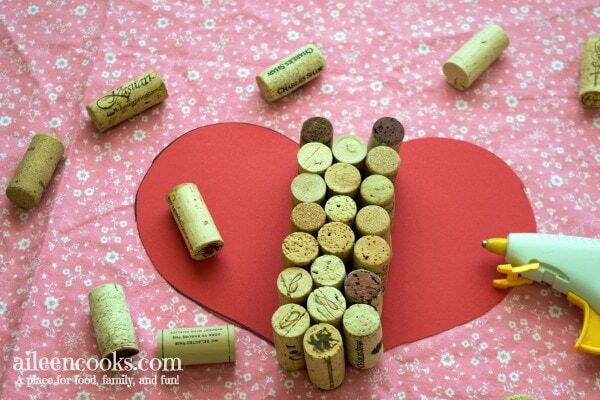 Have you made any crafts with wine corks?